United Airlines revealed the newest addition to their fleet – the Boeing 787-10 Dreamliner. While it’s not the largest passenger plane (the 747-400 holds 416 passengers versus 318 on the 787-10) it is the largest Dreamliner in Boeing’s product line and United is expanding consumer seating choices with the new plane. Consumers are used to the standard economy, business, and first class cabins. Years ago United added their “Economy Plus” seating which provides slightly more legroom for their frequent fliers or those willing to pay extra. Now United has added a fifth class titled “Premium Plus”. 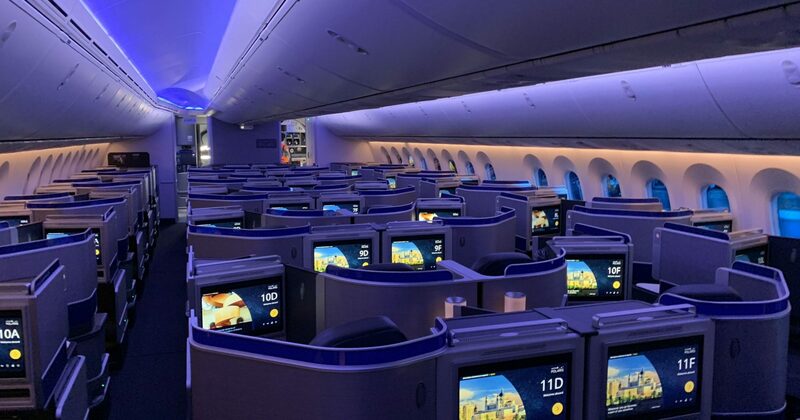 They have also upgraded their business class seats to a new “Polaris” design that includes a large entertainment display and lie-flat seats. As a side note, United is trying to build a sub-brand around Polaris with themed amenities, Polaris airport lounges, and premium service. You can read more about the new plane in this USA Today article. Offering more seat choices to customers and upgrading amenities on the plane shows how much United is investing in trying to provide a differentiated customer experience in a highly commoditized market. You might consider having a discussion about the target market for this new plane, how United could determine if adding a fifth class of seats is a good or bad idea (remember they take up more space than a standard economy seat), and whether the experience actually affects purchase behavior or if that will be driven entirely on price.